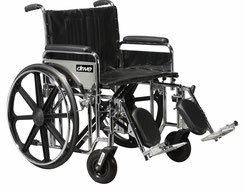 The 22" Bariatric Aluminum Wheelchair by Drive Medical can support individuals up to 450 lbs. 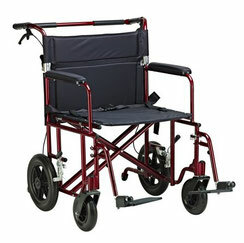 The Sentra EC Extra Wide Heavy Duty Wheelchair from Drive Medical is capable of supporting 700 lbs. 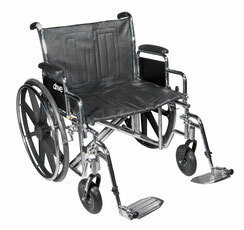 The 22" Steel Wheelchair by Nova is available in a variety of options to suite any user's needs. 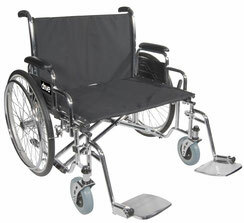 This Bariatric Steel Wheelchair by Drive Medical has reinforcement for added support. 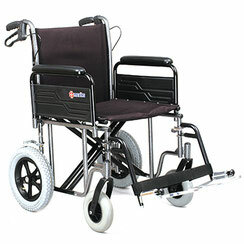 The Everglade HD Wheelchair by Merits has a weight capacity of up to 700 lbs. 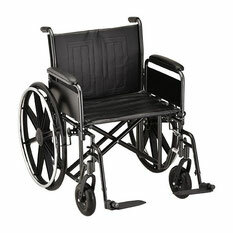 The 24" Steel Wheelchair by Nova is available in a variety of options to suite any user's needs. 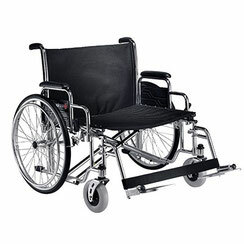 The Bariatric Sentra EC Heavy Duty Wheelchair by Drive Medical comes with a Dual Cross Bar that reinforces the carbon steel frame. 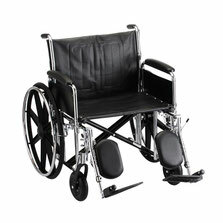 The Zion Manual Wheelchair by Merits is a durable and rugged heavy duty wheelchair for bariatric users. 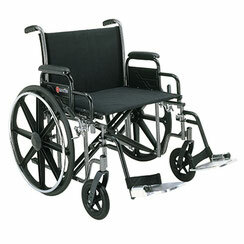 The Sentra Extra Heavy Duty Wheelchair from Drive Medical supports a 500 pound weight capacity thanks to its reinforcement. 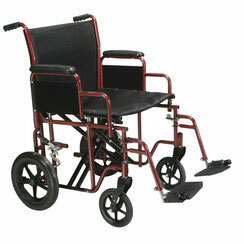 The Voyageur Wheelchair by Merits has a reinforced frame with double cross braces.